LIMITED & NUMBERED EDITION OF ONLY 669 PIECES WORLDWIDE! 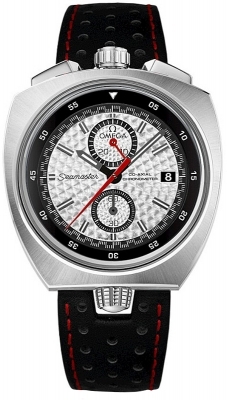 A re-edition of the original SEAMASTER BULLHEAD from 1969, with only minor design changes! 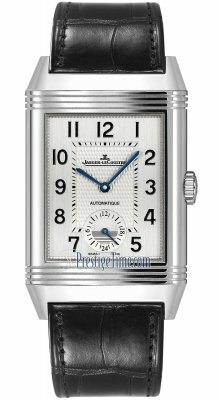 Polished stainless steel crown & chronograph buttons located at the top of the case. 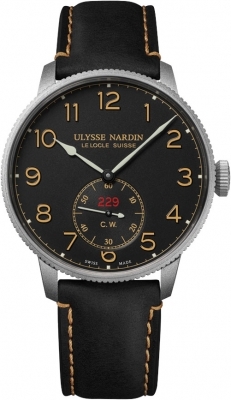 Black dial with a reversed "Clous de Paris" textured pattern. Fine white & red printed minutes, seconds & fractions-of-a-second track. 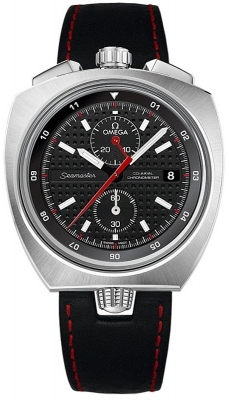 Black bi-directional bezel ring located beneath the dial. Bezel operation is via the crown at the o'clock position. 12 hour markings on the bezel. Black & steel hour & minute hands with luminous fill. Chronograph related hands are red. Small continuous seconds sub-dial located at the 6 o'clock position. Black calfskin strap with red stitching. 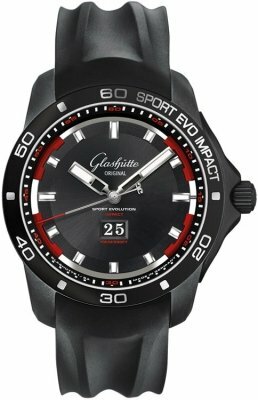 The movement has a power reserve of 52 hours.